There are so many differences from the Restaurant industry all the way to Summer Camp Food Service industry and everything in between. 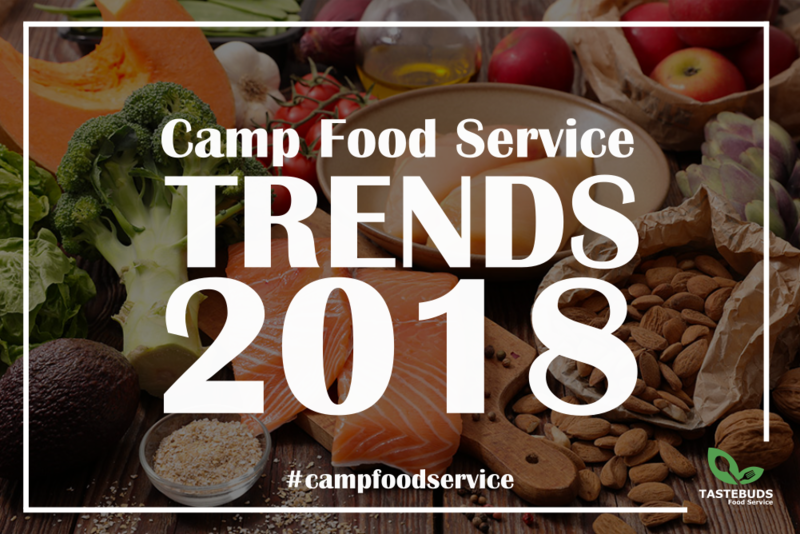 We will shed light on some of the most impactful trends that relate to YOUR Summer Camp Food Service. We have a passion for bringing new things to the table and keeping the Food Service not only nutritionally balanced, but EXCITING as well ! 1. Emphasis on the experience. This is something that is now more clear than ever in camps across the country as camps aim to offer the ultimate Summer experience to campers and staff alike. We recommend creating a dining experience that campers really look forward to. Bridging the gap between the kitchen and the dining hall is always a challenge. Bringing out the kitchen staff and allowing them to interact and talk with campers and staff create a bond between food and campers that will allow for a more open experience when it comes to food service. We often speak with campers about healthy eating and they know our kitchen staff by first name, allowing us to bridge that gap and in conjunction with the camp staff, help to deliver a great dining experience. Offering a kitchen elective to learn about the food that you eat is becoming more and more popular. 2. Nourishing the soul. Camp Directors are becoming more and more aware of the importance of eating healthy or “clean eating”. Most people don’t see how this is possible at camp, however, it’s a trend that we should all stay ahead of. After all, the food you put in your body will affect not only your mood but your body and how it operates at camp. This is important to nourish the soul and help children grow with a healthy approach. We, at Tastebuds stay ahead of this trend by eliminating as much processed foods as possible while maintaining a “from scratch” approach in everything that we do. This relationship between food and emotion is more apparent than ever and creating a great experience for a child is highly affected by the food that they put into their bodies. 3. Plant-based options. Healthy options and effective budgets seem to not go together, however this is not the case if you strategically create a menu and offer creative options. Turning up the level of non-meat flavors in ways that turn produce into a menu star rather than a side note, can go a long way when it comes to healthy eating and trying new things for children. This is a trend that is sure to make it far beyond 2018. Building a menu to include these things can really spice up your dining experience, while strengthening the idea of eating healthy and expanding the minds of your campers. The above trends translate directly from other food service industries and you can notice that they all work in conjunction with one another towards the over all push to make more conscious and health driven choices when it comes to the food that we consume. This one trend carries over from 2017 and is not going away- and it shouldn’t. At Tastebuds, we aim to continue to meet, surpass and re-establish higher standards for what Summer Camp food should taste like. Please let us know if you have any questions related to food service! Visit us on facebook, call us, or email us and we will be glad to help!